“The Chinese government are not just blessers. They are not just giving us money,” opposition leader Mmusi Maimane warned MPs last month. Maimane and other opposition politicians are skeptical of the seemingly generous offer of a $2.5bn loan from China Development Bank (CDB) aimed at propping up ailing Eskom. They have called for the terms to be made public. But newly-obtained evidence shows that the last time this Chinese state bank came bearing gifts, the Guptas piggybacked on the deal, pocketing as much as R122m (excluding VAT) in “success fees”. There is no indication that CDB knew of the Guptas’ involvement, but, like other Chinese companies embroiled in the state capture saga, it failed to answer any questions. Correspondence shows that when CDB offered Transnet $2.5bn to finance new locomotives in 2014, the rail utility considered it too pricey and resisted taking it up. But the CDB deal had powerful backers – including Transnet’s Gupta-linked advisors, Regiments Capital, and a new Transnet treasurer, who happened to be close to Regiments. Within months the CDB loan was signed – for a reduced amount of $1.5bn but at a similarly pricey rate – and the Guptas’ fixers lined up to collect their fee. Previously amaBhungane has shown Regiments routinely paid “business development” commissions to the Gupta network amounting to more than half of the fee it charged clients like Transnet. In this case documents show that Regiments on-paid an astonishing 78% of the R166m (excluding VAT) “success fee” it got from Transnet for helping to arrange the loan. Much of that ended up with the Guptas’ Sahara Computers via seemingly bogus contracts for IT services. This new evidence, added to previous disclosures from the #GuptaLeaks, indicates the Guptas fed off every stage of Transnet’s procurement of new locomotives: from consulting about the structure of the deal, to kickbacks from Chinese locomotive suppliers, to commission on the financing arrangements. Transnet got ripped off at least three times: by Regiments and the Guptas, by the locomotive suppliers and finally by CDB, whose overpriced loan will not be repaid until 2030. When Transnet agreed to buy 591 Chinese locomotives in March 2014, CDB was considered a natural choice to bankroll the R32.5bn transaction. The Chinese locomotives were part of Transnet’s now-controversial acquisition of 1064 locomotives from four international manufacturers. A year earlier, during a meeting between then-president Jacob Zuma and Chinese President Xi Jinping at the Union Buildings, CDB had pledged to help finance Transnet’s infrastructure plans. The Chinese bank offered a $2.5bn line of credit. But with the loan being offered in dollars, Transnet treasury felt the combination of interest rate and having to hedge against the depreciation of the rand would make it too expensive. In October 2014, Transnet broke off its negotiations with CDB. The story might have ended there, but new evidence suggests that the deal had powerful backers – including Transnet’s own advisors, Regiments, who continued to push for it. In December 2014, during a state visit to China, Zuma and Finance Minister Nhlanhla Nene met with CDB. According to a newly-discovered letter written by Transnet’s then-chief financial officer, Anoj Singh, the meeting was to “address the cost for funding with CDB”. But when Regiments tried to enlist Nene to lobby CDB more aggressively, he demurred. In January 2015, Regiments delivered a draft letter to Nene’s office. In a document prepared for his signature, Regiments suggested he “urge CDB to re-consider the pricing of this strategic funding transaction” in the “spirit of partnership and cooperation envisioned by the leaders of our Great Nations”. Nene wrote back to Regiments’ Eric Wood, telling him it was “imperative that we allow the consultative process to be concluded and if at some point there is a need for a government to government discussion I am confident that such a discussion will be initiated”. However, by the end of January, a major stumbling block was removed when the head of Transnet treasury, Mathane Makgatho, resigned after more than a decade at Transnet. Before the month was out, then Transnet chief executive Brian Molefe wrote to CDB asking for a meeting in Beijing to reopen negotiations. This appears to have caught the bank off guard. The following day, Singh sent an equally terse response, reminding CDB that Transnet had “alternative options of funding”. A week later, Ramosebudi, Wood and Singh flew to China for a final round of negotiations with five Chinese banks, including CDB. Although CDB still refused better terms, correspondence shows that Regiments came up with a plan B: Transnet would borrow only $1.5bn from CDB and supplement it with R12bn from a group of South African banks. The combined interest rate of the two loans of 10.4% would still be higher than Transnet’s other debt of 9.70% on average, but it would be palatable. When the delegation returned, Gupta lieutenant Salim Essa started calculating fees. Essa and the Guptas had been lurking in the background of the CDB deal for some time. When Regiments drafted a letter for Nene to sign, a copy ended up with Gupta lieutenant Ashu Chawla. When Nene rebuffed Regiments, Wood forwarded the letter to Essa. With a provisional agreement on the table, Essa now moved to the fore. “Please add a column for what our fees will be at each drawdown please,” Essa asked Wood in an email a week after Wood, Singh and Ramosebudi returned from China. Although there was still no signed contract between Transnet and CDB, Wood responded with a breakdown showing how Regiments would earn a R166-million “success fee” off the back of Transnet’s now-smaller $1.5bn loan from CDB. Essa was not satisfied. His reply suggested he expected commission from the entire package to finance Transnet’s purchase of the Chinese locomotives. He wrote back to Wood: “This is for 1 stream…what about the other 2 (the $1B CPI and the hedge on the 1.5B),” he asked. The “$1B” appears to be a reference to the additional $1bn in funding Transnet would later try to source (unsuccessfully) from the Public Investment Corporation, while “1.5B” appears to be the currency hedge on the $1.5bn CDB loan. Considering how integrated Essa was in the Gupta network, and considering how the money eventually flowed, it seems a given that “our fees” referred to Regiments, the Guptas and Essa. On 21 April 2015, Regiments sent a three-page document to Singh and Ramosebudi outlining the work Regiments had performed on the as-yet-unsigned CDB loan and requesting the R166-million “success fee”. “The financial advice and negotiation support that Regiments provided through this entire process which took in excess of 12 months was done at risk with an expectation of compensation only on successful completion of the transaction. Given the invaluable contribution of Regiments to the successful conclusion of this transaction, Regiments is due a success based fee,” Wood proclaimed. A week later, Transnet then-acting chief executive Siyabonga Gama deliveerd a memo motivating for the R166m to Transnet’s Board Acquisitions and Disposals Committee. Although the memo stated it was “compiled by” Ramosebudi, side-by-side comparison shows it was a simple cut-and-paste of the justification Regiments had sent a week before. When Transnet’s internal auditors looked at the deal a few months later, they questioned why, with “one of the largest corporate treasuries in the country”, Transnet had needed Regiments’ help at all. But by that point, much of the R166m had already been disbursed through the Gupta network. On 4 June 2015, Transnet announced it had concluded the loan with CDB. Although Regiments claimed it had worked tirelessly for 12 months, it seemed happy to pocket only a fraction of the fees it had supposedly earned. A Regiments’ ledger, filed as part of an ongoing court battle between the company’s directors, shows that 78% of Regiments’ R166m “success fee” was on-paid to unnamed “business development” partners. A recent amaBhungane investigation demonstrated how on average 50% of Regiments’ income from Transnet deals between 2013 and 2016 was diverted to front companies controlled by Essa, while another 5% of each deal was diverted to a middleman, Albatime – all under the guise of it being fees for “business development”. Emails between Wood and Albatime director Kuben Moodley show that the “business development” fees on the CDB loan would be structured slightly differently: Albatime’s 3% fee (R5m excluding VAT) would be deducted from the measly 25% that Regiments got to keep. “Eric, I went through our contract last night and … as per agreement, Albatime should receive 3 percent of 166,” Moodley wrote. New evidence strongly suggests that the remaining 75% (R124.5m excluding VAT) was to be on-paid by Albatime to the Guptas’ Sahara Computers. Three weeks later, Moodley delivered an Albatime invoice to Regiments for R124.5m. The description simply said “CDB”. “Please NOTE new Bank Details for THIS TRANSACTION,” Moodley told Regiments’ accountant via email, attaching the details of a new Bank of Baroda account, instead of Albatime’s normal Absa account. Inside Regiments, staff drew up an eight-day payment schedule, breaking the R124.5m up into neat R20m tranches, which was all Regiments’ daily limit could handle. But on the day the last payment was due to be delivered, Moodley produced a new invoice. Although the amount and invoice number were identical to the previous CDB invoice, the new invoice claimed to be for “IT Sales and Support” services delivered between 2012 and 2014. Albatime, by Moodley’s own admission, performs “business development” services, not IT support. 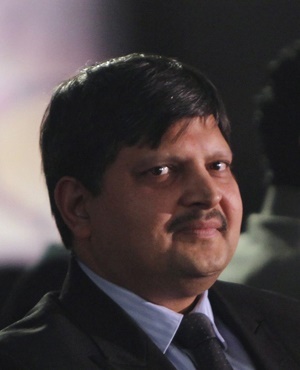 At the same time, the Guptas’ Sahara Computers was also preparing for a big payday. Emails discovered in the #GuptaLeaks show that, a week before, Sahara had invoiced Albatime for R122m for almost identical “IT support services”. Although Sahara did offer these types of services, a company of Albatime’s size, with only one known employee and a tiny office in Rivonia, could hardly justify spending R5m a month on IT support. Despite the absurdity of the deal, bank statements discovered in the #GuptaLeaks confirm that within days of Regiments paying the CDB commission into Albatime’s account, Albatime started paying Sahara. We were able to identify at least R87.1m arrived in Sahara’s Absa bank account over the next month. We put it to Regiments, Moodley, Transnet and the Guptas’ attorney that taken together the evidence suggested the IT contracts were fake – a cover to launder R122m in illicit commissions from Transnet to the Guptas. Only Moodley responded, referring us to a previous statement that “any money received by [Albatime] from Regiments Capital was pursuant to a contract between Albatime and [R]egiments Capital and was paid against valid invoices”. “Kindly stop harassing me any further,” he added. The amaBhungane Centre for Investigative Journalism, an independent non-profit, produced this story. Like it? Be an amaB supporter, sign up for its newsletter or visit amaBhungane.org. Visit amaBhungane's evidence docket here.